2 players, 1 Female, 1 Male. A stuntman returning home late, still reeling from a close call. Howie's wife has been waiting for his return, becoming increasingly worried. A stuntman, home late after a fire stunt that went disastrously wrong, confronts his wife who wants him to quit. Greg Weiner and Shana Youngblood in the 2005 premiere at the Miami Summer Shorts Festival. HOWIE'S LAST WORDS was my first play, and was selected from over 850 submissions to be part of Miami City Theatre's prestigious Summer Shorts Festival. 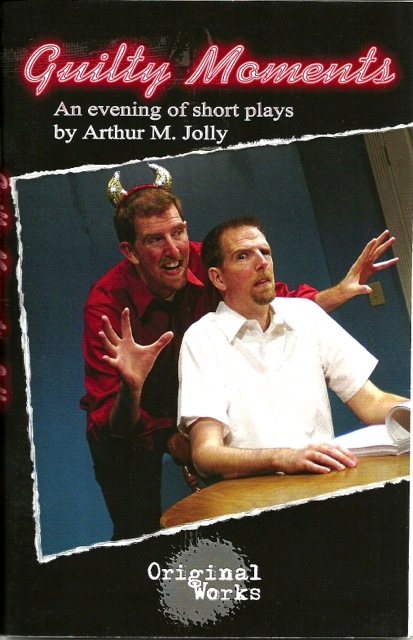 I wrote this play based on an experience I had in my former days as a stunt performer. Any time I think I might like to go back and do more fire stunts, I read this play. You should too. 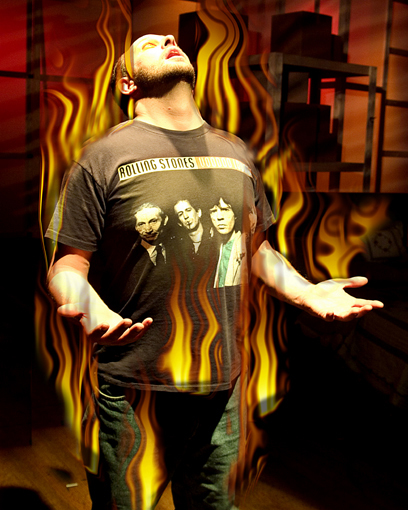 In the play, Howie comes home after a fire stunt. He's late - and he had a close call: the valve on the air tank jammed, and he started hallucinating from the lack of oxygen. His wife, already worried out of her mind, demands that he quit, but Howie's unwavering even if it kills him... again.